Emma Christine creates beautiful things. And The Green Yogi (and lululemon athletica in Plaza El Segundo) are lucky to be able to now showcase her one of a kind necklaces. Inspired by her travels and metaphysical properties of gemstones, Emma creatively combines the beauty and energy of inorganic materials and connects them organically to the wearer. I recently had the chance to sit down with Emma to learn about her inspiration… Which seemed similar to mine with the exception I can’t turn my experiences into gorgeous necklaces! 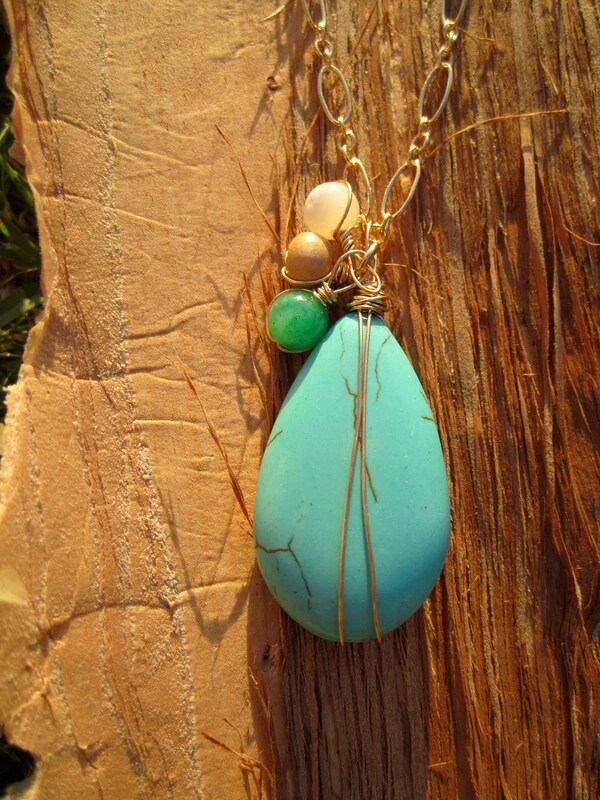 She creates her pieces because she could never find jewelry she wanted to buy. And when Emma put down cash for something she only half loved it. Through her travels around the world and numerous homes, she grew up on the East Coast, lived in New Zealand, and is living here on the West Coast for now, Emma searches for beautiful gemstones she connects with and loves turning them into wearable art for others.